The country is buzzing with anticipation for the World Cup and the Slug and Lettuce bar team in Marlow have embraced the spirit of Brazil by presenting a selection of exotic drinks for summer – the Carnival Cocktails – which will be introduced on Wednesday 7th May. Savour the Copacabana Crush, a concoction of Disaronno; Midori melon liqueur; lime and cranberry juice, try the creamy Soleros – a blend of Passoã passion fruit liqueur; Midori melon liqueur; Absolut Vanilia; orange and pineapple juice; milk and cream or sip on the fiery Blue Brazil Zombie – a mix of Havana Club aged 3 years; blue Curaçao; pineapple juice and Schweppes lemonade, served in a zombie glass. 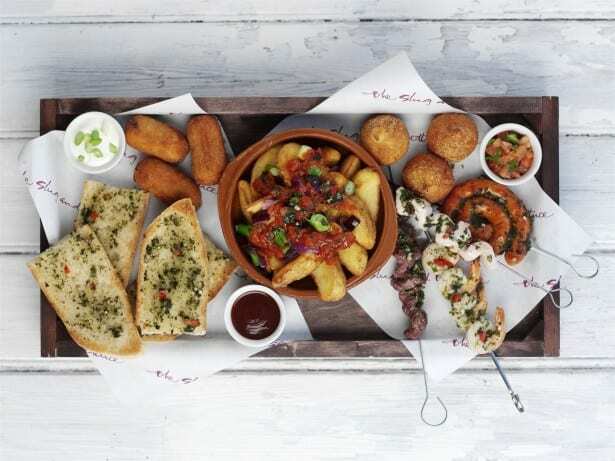 To complement the new drinks choice, the food team at the Slug and Lettuce have created a Street Food Platter, presenting guests with an appetizing mix of exquisite choices including char-grilled chimichurri-glazed churrasco skewers such as steak, king prawn, chicken breast and spicy sausage; croquettes, potato wedges, artisan bread and a selection of sauces.